Iran is inching closer to joining the nuclear club. It was only a matter of time. 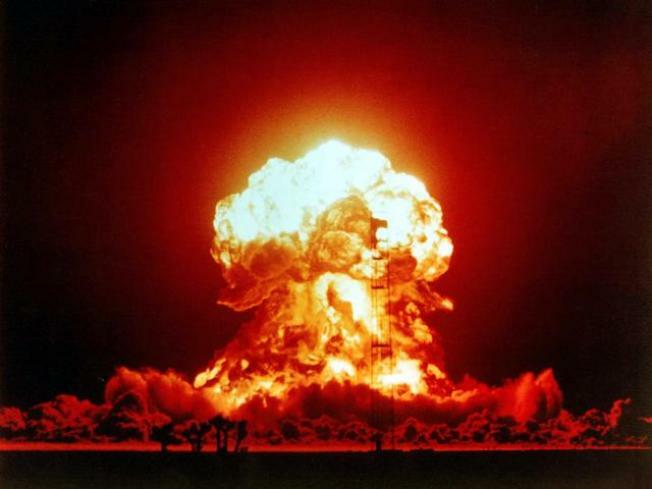 Global inspectors have determined that Iran has produced enough nuclear material to build a bomb. What's unclear is if they possess the know-how to take it to the next step. "They clearly have enough material for a bomb," Richard Garwin, a top nuclear physicist who helped invent the hydrogen bomb, told The New York Times. "They know how to do the enrichment. Whether they know how to design a bomb, well, that's another matter." Iran has accumulated nearly 1,400 pounds of low-enriched uranium, according to a report from the International Atomic Energy Agency. And even if they have the technology to go along with the ingredients, they would still have to ditch the international inspectors they've allowed to monitor their nuclear program. They've made threats to do so in the past, but any action against inspectors would of course heighten the scrutiny of their activities. Despite the challenges before them,"Iran is progressing" with their weapon capabilities, said the IAEA. Inspectors say the country is planning to double the number of their centrifuges used to enrich uranium.